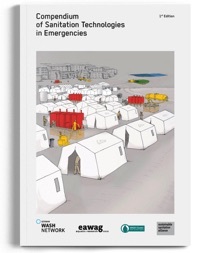 The German WASH Network continues its well-established Regional WASH Workshop series in the years 2019-2020 aiming at strengthening local WASH disaster preparedness and response capacities in order to allow for the provision of appropriate and effective humanitarian WASH services in disaster and crisis prone regions. The Regional WASH Workshops are part of a strategic portfolio of activities developed and carried out in close cooperation between the German WASH Network and the German Federal Foreign Office to respond to the growing demand for emergency coordination and qualified humanitarian WASH capacity in Germany and respective partner countries. Particularly the strengthening of actors in the priority fields of preparedness, disaster risk reduction (DRR), climate change adaption (CCA), inclusion & gender, behaviour change and cash & markets can make a significant and sustainable difference for people living in disaster and crisis affected areas. 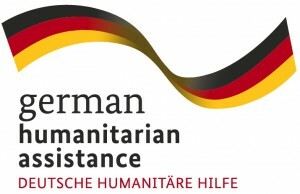 The workshops are seen as a vital exchange platform to allow for necessary knowledge sharing, South-South learning and networking among regionally active German WASH Network members and its local partners as well as for strengthening the linkages to existing regional and international humanitarian networks and central actors of the humanitarian system. The initiative is informed by the WASH Cluster System (e.g. Knowledge Management Survey 2017) and continually adapted to the strategic priorities of the Global WASH Cluster in the fields of knowledge management and capacity building. The identified target regions for the Regional WASH Workshops are Africa, Asia and the MENA region. Staff members and experts from locally active German WASH Network member organisation and its local implementing partners in the target regions, who have formulated a need for further professionalisation and networking. The 5 to 6 day workshops consist of demand-oriented training activities, the facilitation of South-South knowledge exchange and a larger networking component. The workshops are complemented by a 1-day exposure visit. 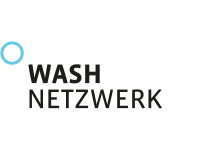 The trainers are WASH experts working for different member organisations of the German WASH Network, who have relevant project experience and expertise in the field of humanitarian WASH. In addition, reference is made to a wide range of national and international sector experts and decision-makers, who will speak on specific issues. Course language is English (or French for the West-African Workshop). The regional workshops are offered free of charge. Local accommodation and catering will be covered. In addition there is a limited budget available to assist in (co-)financing travel costs up to a pre-defined limit for those organisations not able to fully cover travel expenses their own (smaller NGOs, local partner organisations). In case you need support please indicate this accordingly in the registration form. Further dates and venues for Regional WASH Workshops from 2019-2020 will be announced here.